Warning: This film contains strong content. Parental discretion is strongly advised. For over 130 years till 1996, more than 100,000 of Canada's First Nations children were legally required to attend government-funded schools run by various Christian faiths. There were 80 of these 'residential schools' across the country. Most children were sent to faraway schools that separated them from their families and traditional land. 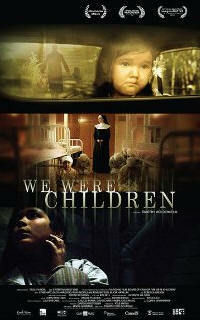 Told through their own voices, 'We Were Children' is the true story of two such children: Glen Anaquod and Lyna Hart. 525 Proctor Street, Williams Lake, B.C. Free Admission made possible by the Williams Lake & District Credit Union.